The Indian real estate sector is currently passing through some really interesting times by all means. The sector is seeing a positive impact of several incentives and other sops that have been offered by the Central Government. Chief amongst these has been the Pradhan Mantri Awas Yojana (PMAY) under the Housing for All by 2022 mission which has been a growth booster for the affordable housing segment. Additionally, the GST Council has lowered rates on affordable housing projects to 1% from 8% and GST rates have been lowered from 12% to 5% on under construction properties. Additionally, the Union Budget 2019 has also unveiled several incentives for the real estate sector including exemption of capital gains up to Rs. 2 crore on two houses once in a lifetime, zero taxes on notional rent assumption for self-occupied second homes, zero taxes on personal income up to Rs. 5 lakhs and many other benefits. As per recent reports and studies, sales figures for housing units increased to stand at 78,520 units across India’s top 7 cities which indicates 58% of growth in Q1 2019 backed by the sops and incentives offered by the Government as per experts. Sales figures touched 49,800 units in the period between January and March last year across the major 7 cities, namely the MMR (Mumbai Metropolitan Region), Delhi-NCR, Kolkata, Hyderabad, Chennai, Pune and Bangalore. This points to handsome growth notched up by the Indian real estate sector this year and the industry has got off to a comparatively good start likewise. Sales figures and new launches both grew for Q1 2019 as per reports although there were expectations of a negative effect of the crisis in the NBFC sector according to experts. The real estate sector is presently backed by strong positive forces and good market sentiments after getting multiple Government benefits in the first quarter of this calendar year. The incentives provided by the Government will definitely boost overall purchase sentiments of prospective customers while enhancing overall confidence as far as investors and builders are concerned. The Budgetary announcements will also encourage more people to buy second homes and this should also give a major boost to the real estate sector over the next few years along with the affordable housing sector. Even home loan interest rates have reduced with the RBI cutting repo rates two times in succession. Sales volumes went up by a whopping 95% in the Mumbai Metropolitan Region as per reports in the first quarter of this year with 24,010 units sold in comparison to 12,300 units sold in the same period last year. Pune was also a big gainer with 80% sales volume growth and 12,340 units in total sales. The National Capital Region (NCR) had growth of 51% with sales figures of 13,740 units in this period as per studies while Chennai had 3,430 units in sales which indicated growth of 42% in sales volumes. Sales volumes also went up by 33% for Hyderabad and Bangalore and the cities notched up sales figures of 5,400 and 15,580 housing units respectively. Sales figures increased to 4,020 units for this period in Kolkata and overall growth stood at 18%. Experts feel that 2019 promises happy tidings for the Indian real estate sector which has now absorbed the impact of major reforms like GST and RERA which have in fact cleaned up the sector and made it more transparent. The cut in GST rates and other sops will definitely attract more homebuyers and the positive trends should definitely continue throughout the year. New housing supply volumes also went up to 70,490 in the last quarter as compared to 55,600 units in the last quarter of the calendar year 2018 in the top 7 cities in the country. Bangalore played a leading role in reducing unsold inventory which came down by a decent 9% in the first quarter and the yearly reduction was a really handsome 27% as per several reports. 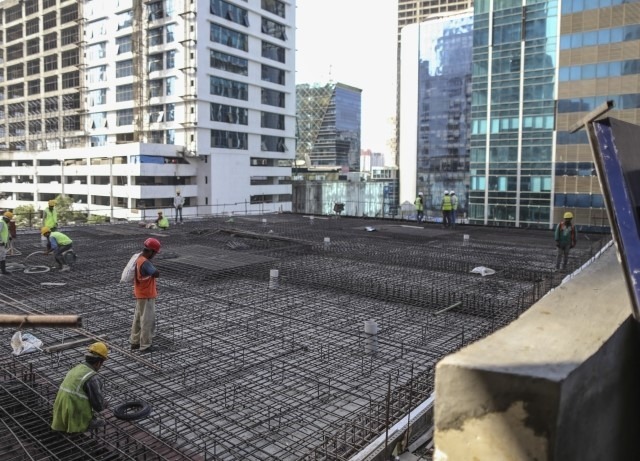 Supply levels for affordable housing in terms of new launches, went up by a whopping 47% to touch 30,750 units in Q1 as compared to 20,800 in the fourth quarter of 2018. For the first quarter of 2019, sales volumes and new launches both increased which indicates positive tidings ahead for the realty sector. Affordable housing, as always, accounted for the lion’s share of supply at a whopping 44% which goes to show the increasing demand in this category. As of the first quarter of 2019, industry experts estimated unsold inventory levels at approximately 6.65 lakh units. In terms of new supply of residential units, the Mumbai Metropolitan Region (MMR) and Pune witnessed supply levels going up by 160% and 62% respectively. The good performance of these two residential housing markets belies the increase in stamp duty and registration fees by 1% across Maharashtra. Launch volumes touched 26,850 units for the MMR in the first quarter of 2019 and 17,520 units in Pune in this period. Hyderabad had 4,850 units being launched in this period while 9,070 units were launched in Bangalore. New launches however came down by 9% in the first quarter and 8,030 units were added to the market. Chennai had new launches coming down by 19% with 3,170 housing units launched. New launches came down the most in Kolkata by a whopping 75% with 1,000 units launched in the first quarter as per reports. However, new launches increased by 91% overall across India’s top 7 cities for the first quarter of this year in comparison to the fourth quarter of the calendar year 2018. Sales figures also increased by 58% overall for the top 7 Indian cities according to reports. This goes to show that Government benefits are certainly benefiting the real estate sector in recent times. As per reports, prices of residential property remained largely unchanged although they went up by 1% (quarter-wise) for Bangalore and Hyderabad and 2% (year on year).